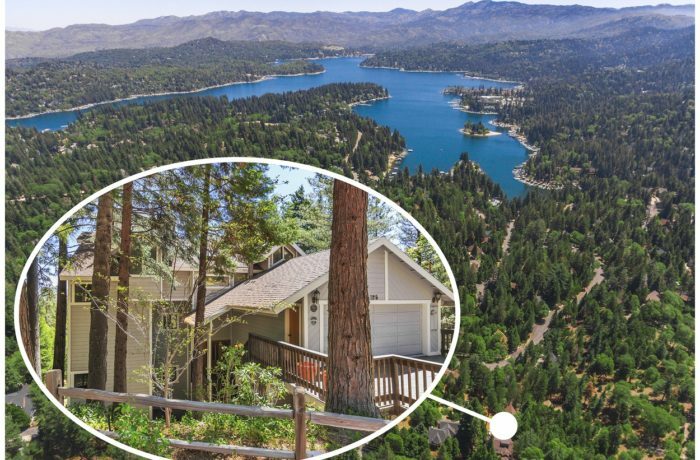 Enjoy the mountains in this large family home with lake views from every floor! The home features two Master bedrooms with en suite bathrooms and fireplaces. The main level is an open concept kitchen, dining room, and living room. Lower level is a family room, large deck, laundry room, and 3 bedrooms. Attached extra deep 2 car garage and tons of storage! Close to hiking trails. Lake Rights Included!